Armstrong's most popular vinyl composition tile backed by decades of proven performance, quality and value, Imperial Texture definitely sets the industry standard. Now available in over 75 colors, the flooring design possibilities with Standard EXCELON Imperial Texture are virtually endless. With true through-pattern construction, combine Imperial Texture with Standard EXCELON MultiColor for even more design options. A 1/8-inch gauge equal to Armstrong's NATURAL CREATIONS luxury vinyl tile allows for easy transitioning and maintenance from area to area. 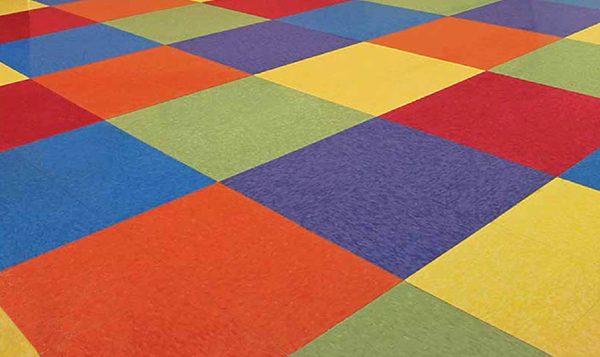 Standard EXCELON Imperial Texture is FloorScore certified for low VOC (volatile organic compound) emissions.